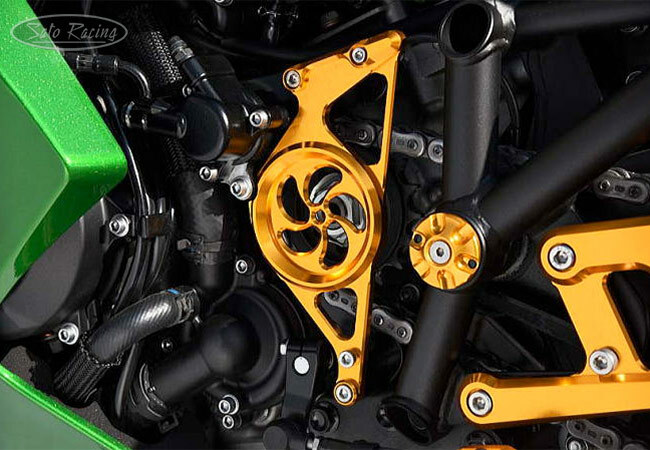 SATO RACING Rear Sets for 2018 Kawasaki Ninja H2 SX features a rigid, single-plate design CNC-machined out of high strength anodized billet aluminum. 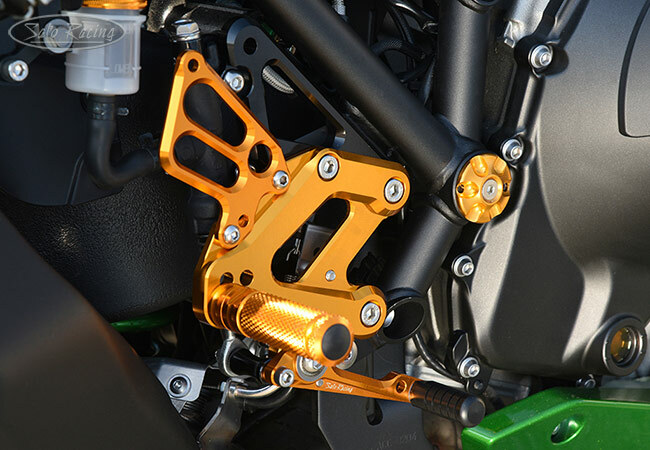 These premium Rear Sets provide a stock shifting pattern, and have 4 adjustable foot peg positions in a useful range for the street or track. 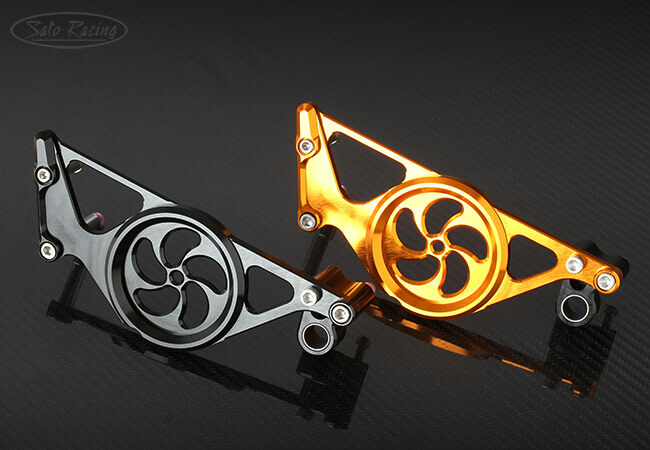 Choice of deep Black or vivid Gold anodized finish. Available options include a matching Shift Spindle Holder. 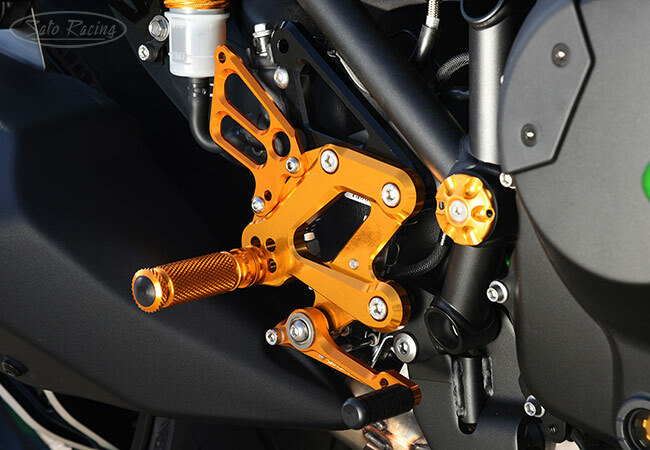 A fixed step plate design means it is fully compatible the stock brake light switch and ABS. 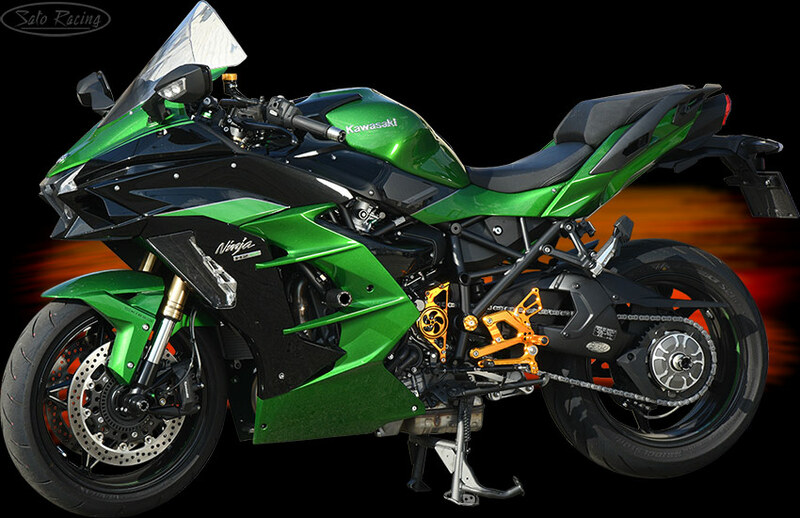 for your riding style. The Pedal Tip position can also be adjusted. tough, abrasion-resistant Delrin. Other styles of Pedal Tips are also available. Click Here for details. 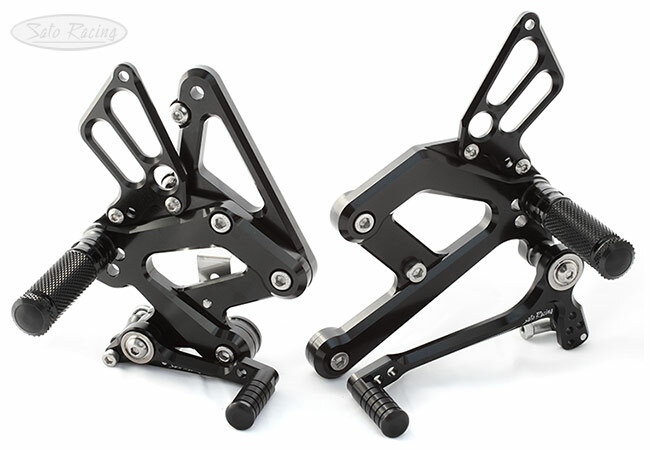 feature miniature double stainless bearings for smooth, precise pedal actuation with a solid feel. 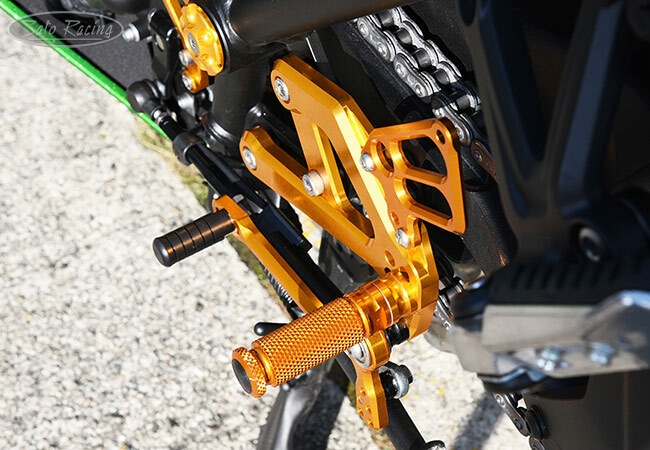 Our Rear Sets are designed to work seamlessly with the stock quick shifter. 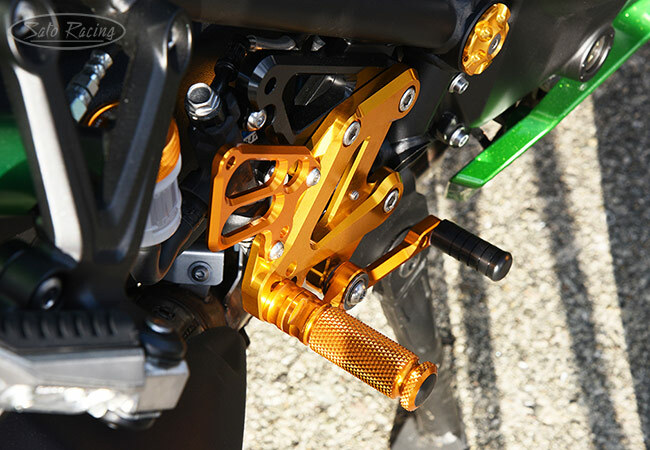 SATO RACING Shift Spindle Holder for 2018+ Kawasaki Ninja H2 SX is a stylish combo of shift spindle support and chain cover. This specialized racing part is designed to reinforce the spindle shaft to reduce lateral movement or excessive play during shifts, for more precise and consistent shifting in heavy-duty use. 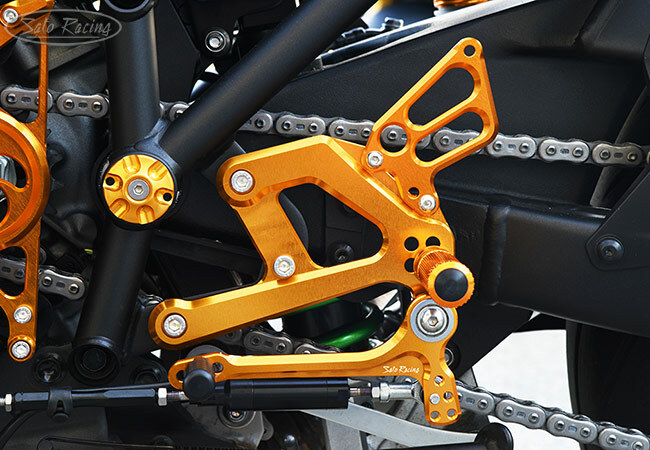 CNC-machined out of high strength billet aluminum, with a Teflon-coated inner bushing. 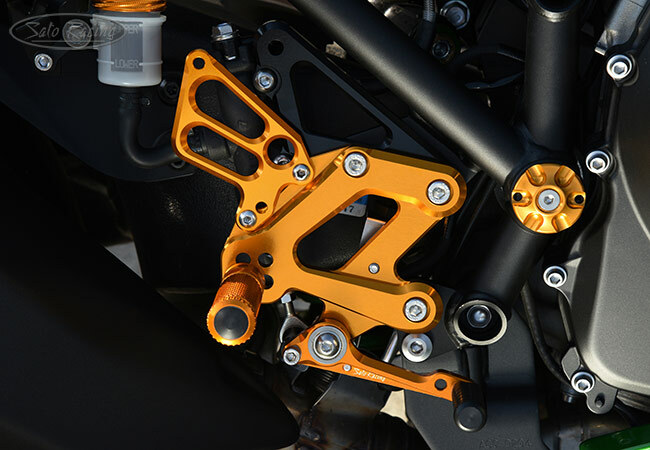 Choice of all-Black anodized finish, or Gold anodized chain cover with Black spindle support. includes stainless steel bolts.